Hi! Welcome to this weeks getting-things-done and increasing productivity at work Q&A! Can’t see the video. Click here to watch it on youtube. 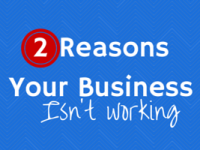 This is part-2 to a question I had in from a small business owner who was looking to take a more focused approach to her routine and asked me how she could work more efficiently. Check out Part 1 here for tips 1-3! If something needs my attention I try and give it 100% and I do my best to eliminate as many distractions as possible during high-concentration times. I often treat phone calls like meetings and pre-arrange a good, mutually convenient time to talk. I’m not afraid to put my phone on silent, and in fact, my texts alerts are always on silent. You don’t need to jump every time you hear a ping; it’s ok turn things off sometimes. These distractions and attention-grabbers are a huge interrupter to the flow of work. Research says that if you are in the ‘zone’ and something breaks your concerntration, it can take at least 10 minutes to get back into the zone again. Remember, it’s your business, you can take control, and if you need time to knuckle down on something without distraction , it’s ok to do that. It’s not only good for you but it’s also really good for your clients! Automating some of your tasks will help you to free up time and give you efficient ways to work. What things do you find yourself doing again and again? Is there a tool out there that can help you? For example, I seem to have a list of 17 actions to take for before/during/after writing a blog post. I try and automate as many of those actions as I can. 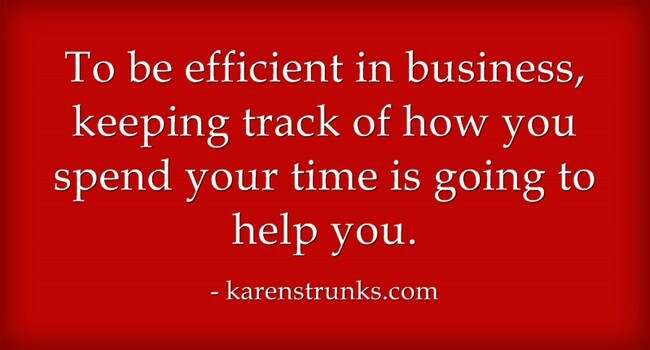 You have to be efficient in business and keeping track of how you spend your time is one of the ways that’s going to help you. Talking about keeping track of your time, do you really know how much time you’re spending online and where you are spending it? And no, you can’t guess at it! I’ve written about how you can maximise your social media activities for business when you find yourself strapped for time but for a wake-up call, get a free account with Rescue Time! This is free time tracking software. It tracks what sites you visit and how much time you are spending on them, down to the minute and second. Be warned, it can give you a bit of a shock! But sometimes that’s just what you need to help you stop making excuses about not having enough time. The thing to remember is that when you have access to this valuable data you can start to see where you can make improvements and where you time is actually being spent! That’s powerful stuff. This sounds counter-productive but it really does work. You need to give you eyes something else to look at than just pixels on a screen. Plus it allows your brain to change gears and it will do you good to have other things to focus on. You’ll be surprised at what great ideas that will pop into your head when you give your mind a chance a break. You will get more done when you are rested and refreshed. They say as change is as good as a rest and that’s so true! I’m getting much better at taking time off and Not Working this year. 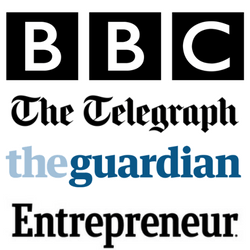 I hope these tips will help you super-charge your business and time management skills! How do you get organized? What are your time management and productivity tips? 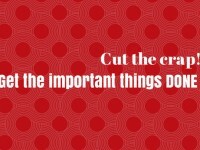 Cut the crap: How to get the important things done! This is interesting, as I’ve just mentioned Rescue Time in passing on my post about returns on investment published today. I found it distracting, as I was more interested in my percentages than in getting the work done! Horses for courses, though. I have my famous Freelancers’ Rules which make sure I stay productive by keeping well, eating regularly and exercising / leaving the house – that helps a lot! Ah. Interesting! There was certainly a period when I first started using Rescue Time that I kept checking it and analysing and tweaking it. I think it was that novelty factor! Now I have got it set up how I want it, I stick to checking the results once a week now and seeing what actions have given me results. I think it’s a real eye-opener. Prior to that I could never have guessed how much time I was spending on certain websites/tasks. 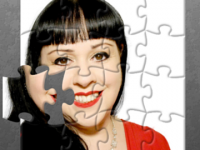 Karen – two excellent blog posts with some great tips! Taking time off is very important, but most of us consider ourselves too “busy” to take time out even though it’s a great idea! Visiting a Conference or even a seminar and focusing on the speaker (and not pretending to listen while doing your email!) often allows you the short breaks you need to be inspired!